My second cousin, Bill Fageol III contacted me the other day for the first time. It is always great to hear from relatives that you hadn't "talked" to before. After we had exchanged a couple of emails, I was reminded of the following photo. From my mother's side of the family, Ida was my great Aunt, who by the way lived to the ripe old age of 108!!! 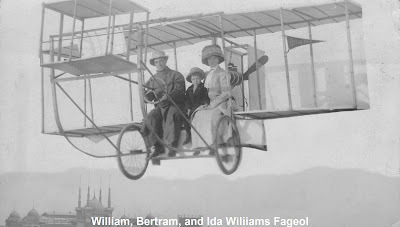 Just imagine the changes in the world that she experienced, one of which was living in San Francisco during the Earthquake and Fire in 1906 and another of course was the airplane. 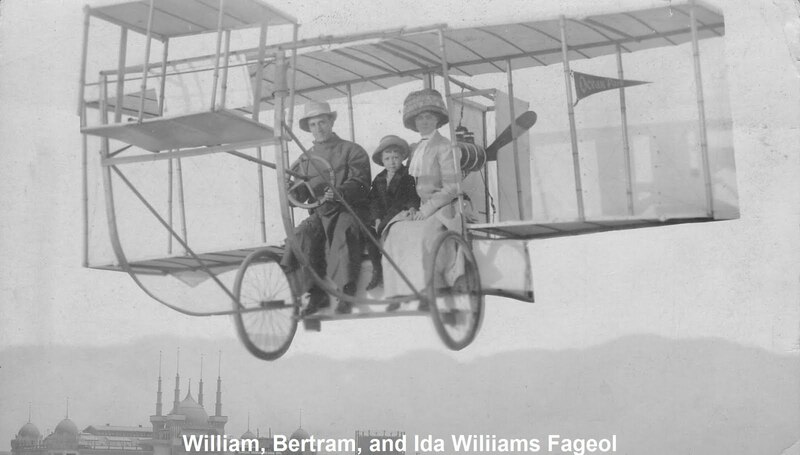 Airplanes have changed just a little bit from the model in this photo!